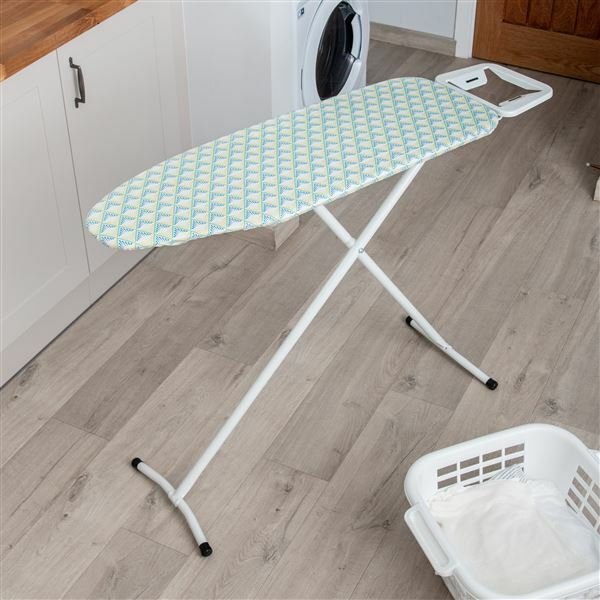 The compact ironing board has a 970mm x 310mm ironing surface as well as a universal iron rest to place your iron on during use. The T leg design provides a sturdy surface and compact design for easy storage. All Boards in the range have 100% cotton cover with thick high density foam lining, steel mesh for efficient steam ironing and anti-slip feet to protect flooring. The board comes complete with a locking leg safety catch for secure upright storage.